Emilia Salvini dreams of marrying a man who loves music as much as she does. But in 18th-century Milan, being the "second sister" means she'll likely be sent to a convent instead. 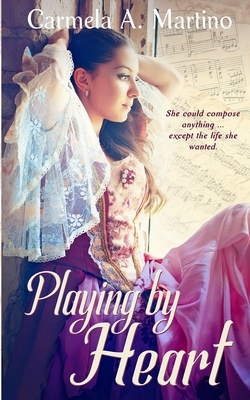 Emilia's only hope is to prove her musical talents crucial to her father's quest for nobility. First, though, she must win over her music tutor, who disdains her simply for being a girl. But before she can carry out her plan, a tragedy sends the family into mourning. In her sorrow, Emilia composes a heartrending sonata that causes the maestro to finally recognize her talent. He begins teaching her music theory alongside Antonio Bellini, the arrogant great-nephew of a wealthy marquis. Emilia's feelings toward her rival gradually change as she strives to outdo him. But just when her dreams seem within reach, Emilia learns that her success could destroy not only her future but her sister's life.